Emily founded "Inspiration" in December of 2009 and continues to direct and manage the group. She is actively involved in community theaters around the area as an actress, director, choreographer, and stage manager. She is currently the Drama Specialist at Maplewood County Day Camp and Enrichment Center, instructor for Young Actors Academy in Woonsocket Rhode Island, and runs the drama club program at Cumberland Middle School and Mercymount Country Day School. 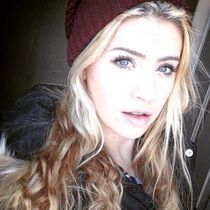 This year Emily is also choreographing and assisting "Encore," a high school vocal ensemble in Whitesville, Ma. Emily has set and achieved many goals for Inspiration over the years and continues to set more for the future. She hopes to someday pursue her dream of opening up her own performing arts studio. Her favorite part of Inspiration is seeing each girl and boy grow as a person and as a performer and giving back to the community. She hopes that she has been able to inspire others with Inspiration and hopes to continue its success and inspirational work for many years. 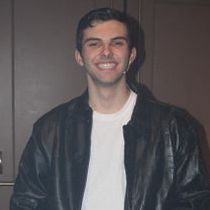 Nick is currently a Junior at the University of Rhode Island where he is studying electrical engineering. This will be Nick's fourth year working with Inspiration. 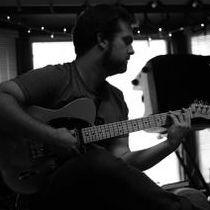 Apart from Inspiration, Nick plays guitar in the original band Sun Gangs, works in technical theatre at URI and the Stadium Theatre in Rhode Island, and freelances as a DJ and sound technician. He hopes his career takes him somewhere where he can use his engineering degree creatively providing immersive experiences for people in music, theatre, and theme parks. His favorite part about helping out with Inspiration is watching the performers progress throughout the years. 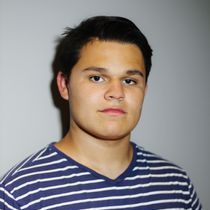 Kyle is currently a sophomore at Rhode Island College majoring in Theatre. 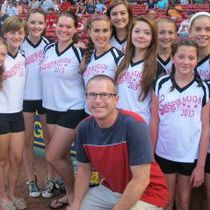 Kyle currently stage manages, performs, and teaches Young Actors Academy classes at the Stadium Theatre in Rhode Island. Kyle has been with Inspiration for 3 years and has recently gone from performer to production staff member. Kyle's favorite part of Inspiration is the community service aspect of the group! Jonathan has been with us since the very beginning. He has enjoyed watching Inspiration grow and expand over the last nine years and watching them perform while getting closer to all of the families!